Thanks to another of my readers for finding this 2002 interview with Gerald Donald about the first Arpanet album. The reason I choose to reproduce the question and answers segment of these interviews here and not simply give a link to its web page is that this site is also beginning to serve as a reliable archive for this stuff. In fact, one of the main contributory reasons for beginning this site was that I, by pure luck, had saved some of the James Stinson interview texts from pages that now only turn up as dead links. While I was certainly not the only one with this information I felt it was important that someone collect them in the one place sooner rather than later. So it’s now in the same spirit that the words of Gerald Donald are being saved for posterity in case they too suffer the same fate. I am grateful to all the writers and hope they don’t mind me reproducing their work on this non profit site. In this case John Osselaer did the necessary, which makes him probably the only person to have interviewed both members of Drexciya. In this case the page is still active so you can read the full text here. On another Donald related issue I recently updated the AKA posting to document the little we know of his obscure Intellitronic project. Arpanet was the predecessor of the internet. How quickly were you hooked on the net and what do you mainly look for out there? It is primarily utilized for information gathering and electronic mail exchange, not much entertainment. How do you think the internet and all the technology that surrounds it will develop in the future? (or what evolutions would you like to see)? More wirelessness is certain for humans are very mobile conscious in most present day societies; eventually everything will be wireless, mobile and nanofied/microscopic. The upper atmosphere, human body and space are the new mediums, the wire is obsolete. Apparently you are fascinated by Japanese technology. However, it was that same Japanese technology that caused the dramatic decline of the most important industry in your native city Detroit, being the car industry. How do you feel about that? Well in this world either you move forward or you perish. American auto giants had more human concerns than practical ones. Automation is precise and does not require medical benefits or paid vacations. Sometimes you have to make harsh choices and ultimate sacrifices to sustain life. These are the laws of nature and natural selection. How important has the Japanese technology, both the musical instruments from companies like Roland and the issue we discussed above, been for the development of the electronic music that emerged from Detroit? Well the technology not only benefited this sphere of musical development, but it also aided in the process of the global electronic discipline. All cultures interact and exchange ideas. You are clearly fascinated by Japanese technology and European sophistication (both probably pretty important influences on your music). Which elements of your own culture are important for you and your music? Actually our culture was diluted with inferior ideas for nearly a millennium and we are still not bacteria free, so over time we patchworked many influences in connection with our already existent high racial spirits to create something uniquely our own, this is our new identity at present. The Japanese believe highly in dedication to work, country and company. Perfectionism is part of their cultural ethos and this manifests itself in their material and social output. Even though they are experiencing some economic hardships at this time, they will recoil. What's your cue in the idea that all this technology and progress alienates people from each other and from nature? Nature itself is the greatest masterwork of technology. A man who takes his directives from nature is actually bringing togetherness through his inventions. We are all linked by technology, just take a look at the world around you and you will see. What about people who have trouble or are even unable to keep up with all the technological evolutions, how is their future going to look like? Well keeping up with technology is synonymous with keeping in line with the Jones, its impossible. The best thing for a person to do is acquire the devices he needs to suit his needs. There is a smart way and impractical way to upgrade. To what extent can one consider i-mode/wirelessness as a step towards the man-machine, the interface between humans and machines? Yes, for now people will have the internet/communication in their pocket and the goal will be achieved: mobility and accessibility. I have a feeling the track 'Devoid of Wires' refers to the character of Seven of Nine in Star Trek Voyager. Are the Borg something that fascinates you and in what way (positive or negative)? Sometimes it is good to act collectively and sometimes it is good to act individually. A lot of the new technologies that have become part of our every day life used to be considered pure sci-fi a couple of decades/years ago. What other sci-fi visions do you foresee becoming a reality within the next few years/decades? Possibly more voice command and wireless items in addition to environment friendliness. You have maintained an extremely high level of independence and control in all your musical projects. The new technologies also include highly improved (nearly perfect?) ways to survey and monitor people. To what extent are you worried about this control over people and what are your own concerns? Well the concerns are that we will eventually loose our liberty because tracking and data chips will eventually sooner or later be installed in all unborn generations via world governments. I will refer these yet to be born as the GPS-generation for they will be tracked anywhere on the planet by our big brothers via satellite. What about musical equipment, do you think that will eventually also become wireless? What do you think would be the (dis)advantages of that? It will liberate one to perform other duties in the production stages and this will be a great savior in labor necessity and research. 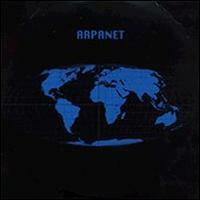 The Arpanet album is about the idea of wireless internet and telecom. Both the press release and the album explicitly mention NTT DoCoMo. It is very uncommon for an underground act to actively promote a brand, especially such a big company. What was your motivation to go in such detail and use this companies name as a point of reference? This firm and its products are worthy of being documented so it was documented through waveforms and visuals. What do you think are the main reasons holding back the US and Europe on the technological/i-mode front? The main drawback is technical infrastructure. You need very sophisticated networks to support these new 3G and 4G phones, entire systems have to be updated and that's very expensive and time-consuming. The second reason is that the West has not been properly introduced to these innovations, but they will eventually see the light when the Japanese have moved on to the next step. In your opinion, what are the most interesting features i-mode has to offer right now and what are the most exciting evolutions around the corner? Well it's difficult to say because they are constantly evolving so you cannot say what is the ultimate feature or the least feature; you just have to keep your focus on their evolution. Evolution is their most interesting feature. Nowadays we are able to communicate with people thousands of miles away, yet still a lot of people feel reluctant to communicate with their neighbors because they have a different color of skin, different ethnicity, religion,… How do you feel about that and what will it take to bring down those barriers? That is a sociological question. I recommend you speak to people authorized to make such analysis and judgments, but basically exposure, exposure and intimacy with the world around you. In an interview for URB magazine techno godfather Juan Atkins made some strong remarks about racial prejudice within the music industry. What are your views on this issue? Well, our African culture is more superior when it comes to creating new forms of sound and visual. Look at past deeds and accounts of history musically and the aforementioned statement will be validated, it's very Darwinist. Arpanet stays very close to the tradition of the very early Detroit techno/electro. To what extent was maintaining that original sound a purpose on its own? Call it what you wish, but fundamentally it is electronic music. Placing labels on music in these times is similar to stereotyping and racism and or racial profiling. It's senseless and trivial. Although your fascination with the digital world is clear, your music is undeniably analouge. Whats your view on the whole analogue vs digital debate in the music production world? Well, it depends on the requirements. Sometimes digital is needed and sometimes analogue is needed. Analogue should not be underestimated nor should the digital domain. They all have disadvantages and advantages, its all technology. What are your critera for allowing a label to release your music? The record executive should not interfere with the scientists or their scientific work. Every one should know their position in the machine and things will work out perfectly. It's similar to church and state relationships. Well the future is uncertain so the future cannot be elaborated on. This interview was done in April 2002, by e-mail. great interview! thanks for archiving all this info. it's rad to have all this in one place. Thanks for saving that interview from internet death. Hope you enjoy the remix I just sent you..... LOVE Arpanet & Drexciya. Dopest Detroit producers ever?